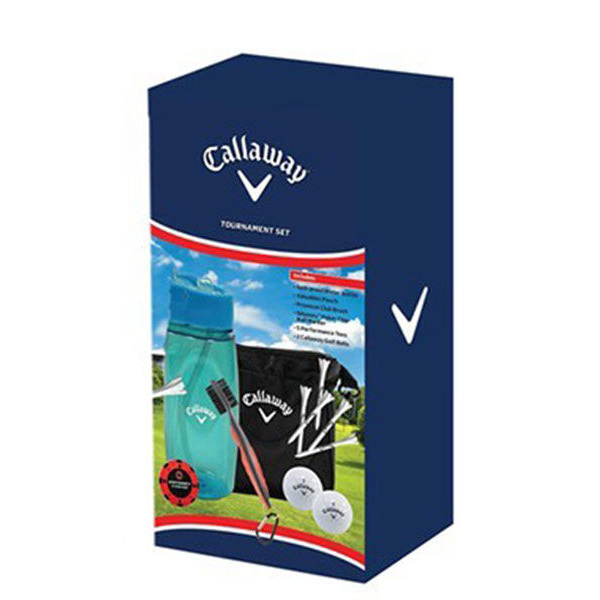 This tournament gift set features premium Callaway Golf items, to assist you round the golf course. The set comes with fleece lined valuables pouch, made from a high denier outer material for long-lasting durability, with attachment clip to fix on to your golf bag. To assist you round the course the set comes with a 16oz drinks bottle, which is spill-proof which is perfect when carrying in your bag during your round of golf. 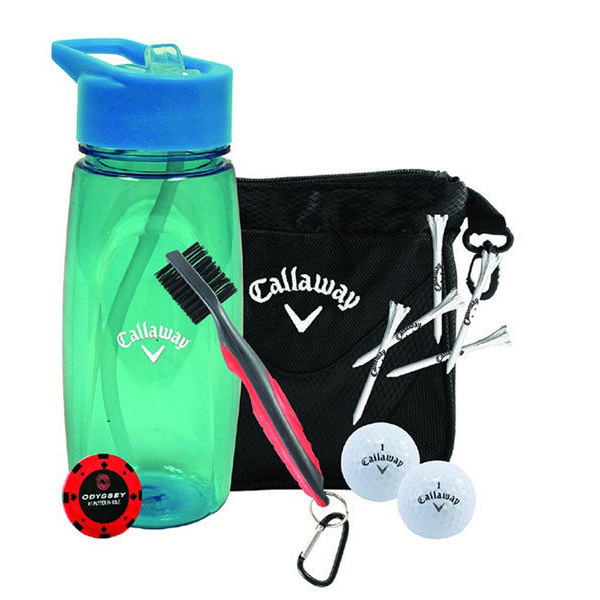 Other essentials such as a poker chip style ball marker, cleaning brush, 5 x performance golf tees, and 2 x Callaway Golf balls help provide a great set for the most passionate golfer.